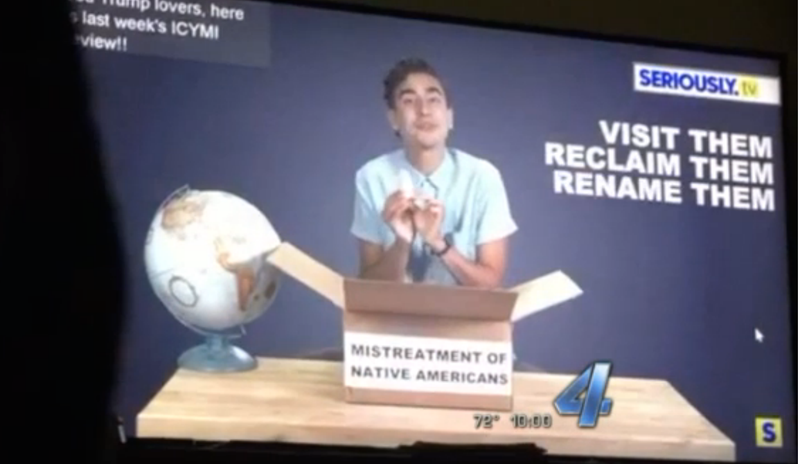 An Oklahoma high school student is speaking out after recording her teacher telling students that "to be white is to be racist," while lecturing on how to "heal the racial divide," KFOR reports. The Norman North High School student said that she was shocked by the lecture, and so she pulled out her phone and started recording. The teacher can be heard in audio saying, "To be white is to be racist, period." The student said that she was instantly offended by the statement. "Half of my family is Hispanic, so I just felt like, you know, him calling me racist just because I'm white … I mean, where's your proof in that,” she said. As the recording continues, the teacher can be heard saying, "Am I racist? And I say yeah. I don't want to be. It's not like I choose to be racist, but do I do things because of the way I was raised?" "Why is it OK to demonize one race to children that you are supposed to be teaching a curriculum to?" her dad asked. However, the student said she wanted an apology and wanted the teacher to make clear that what he said in class was merely his opinion.